and I am adding things daily! 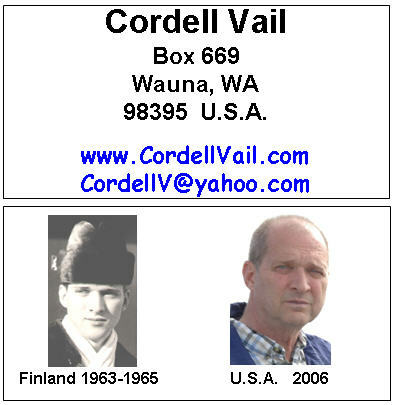 This is the business card that I made that I handed out in Finland. I made about 60 of these cards to hand out to people in Finland. But I ran out of cards after the first week.... Should have made a lot more. Did not realize it would be so easy to talk to people. The pictures were on one side and the address on the other side. I laminated the cards. 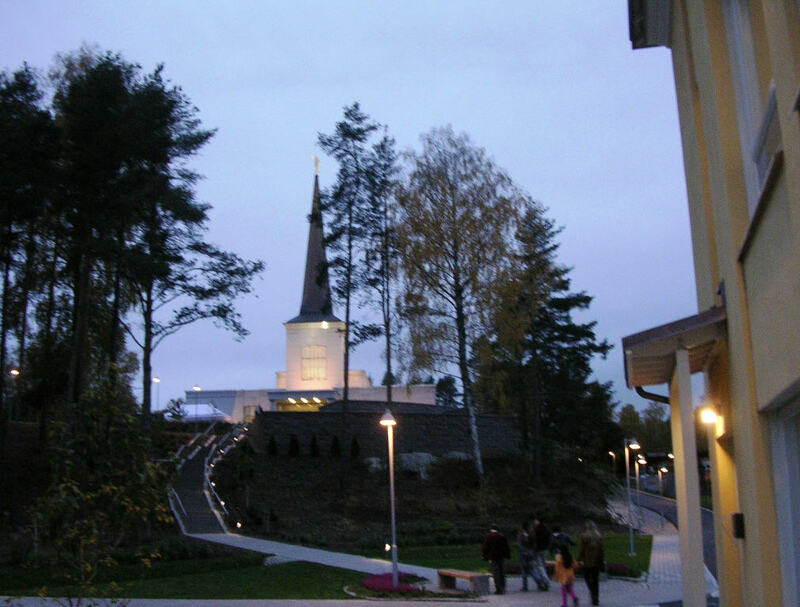 It made it so easy to talk to people about why I was in Finland and why I could speak Finnish and then I was able to share with them information about the beautiful LDS Helsinki Temple. Flying to Finland we went up over the top through Greenland and then over Scotland. 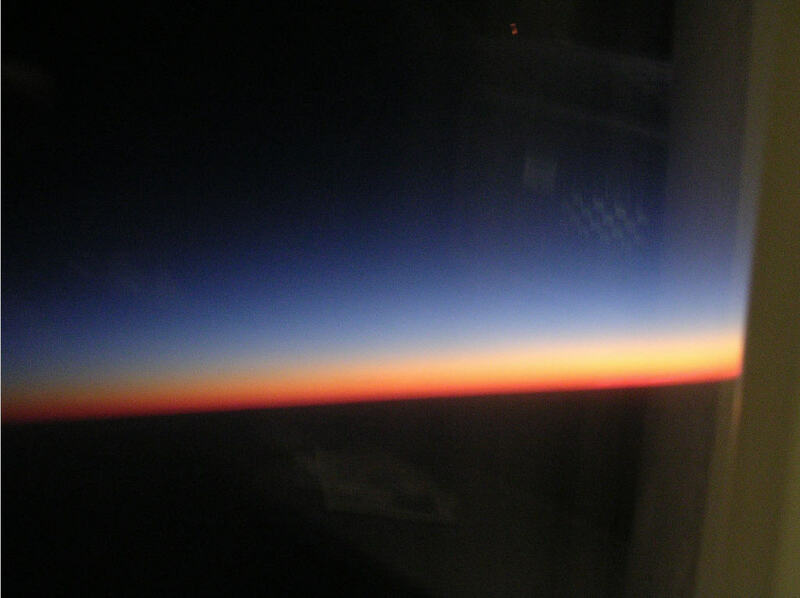 sun rises I have ever seen. This picture does not do justice to the deep red colors that were displayed. 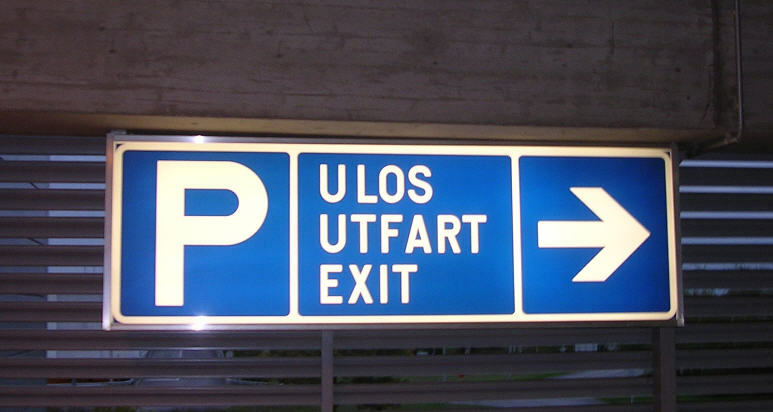 As soon as you get to the airport you start noticing signs have Finnish, Swedish, and English. 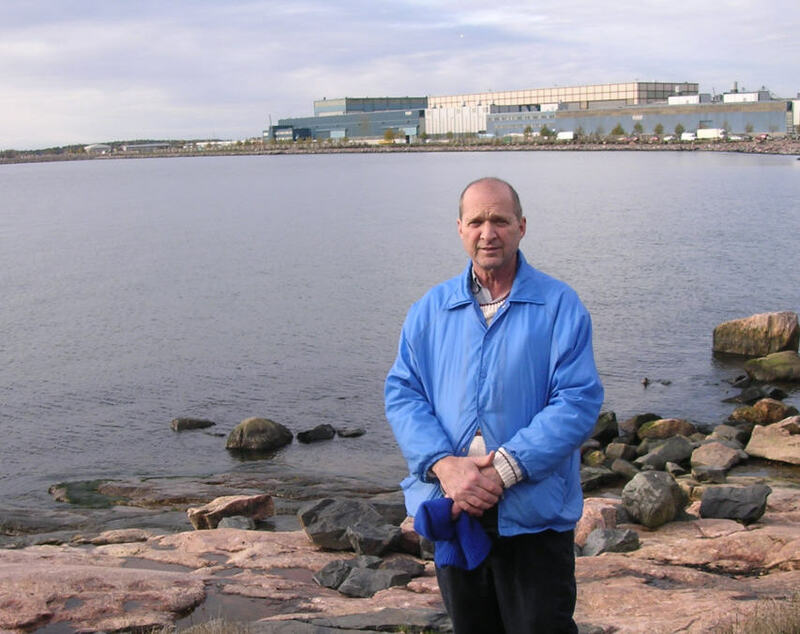 Finland but almost every one in Helsinki speaks English too. 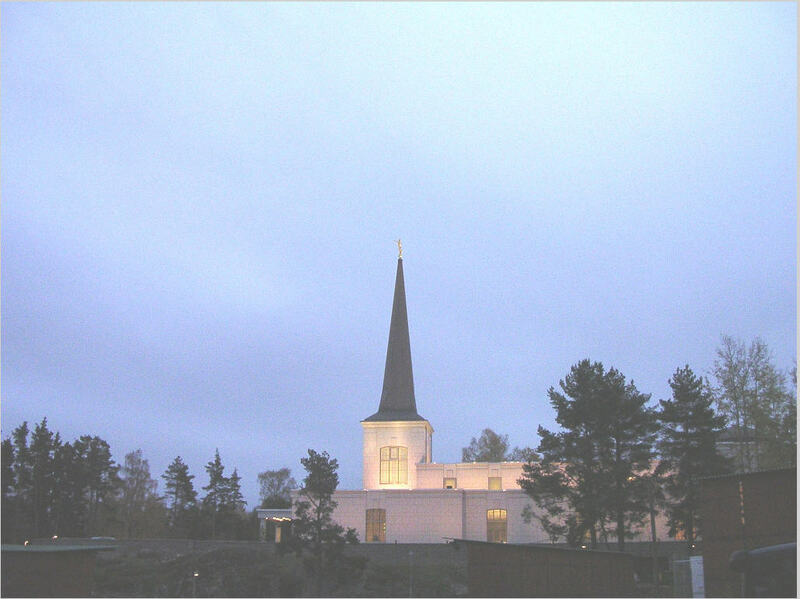 This is the Helsinki Finland Temple from the air (picture taken by Hannu Hakkinen). wonderful privilege of meeting them again. 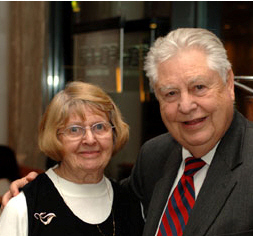 They were a wonderful mission president and mission mother. 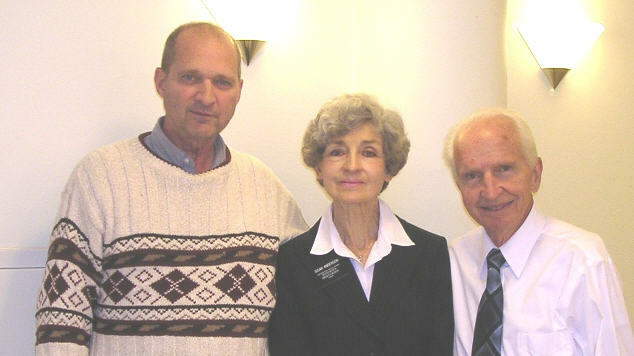 My second mission president, Malcolm and Pat Asplund were there too but I never got to see them. 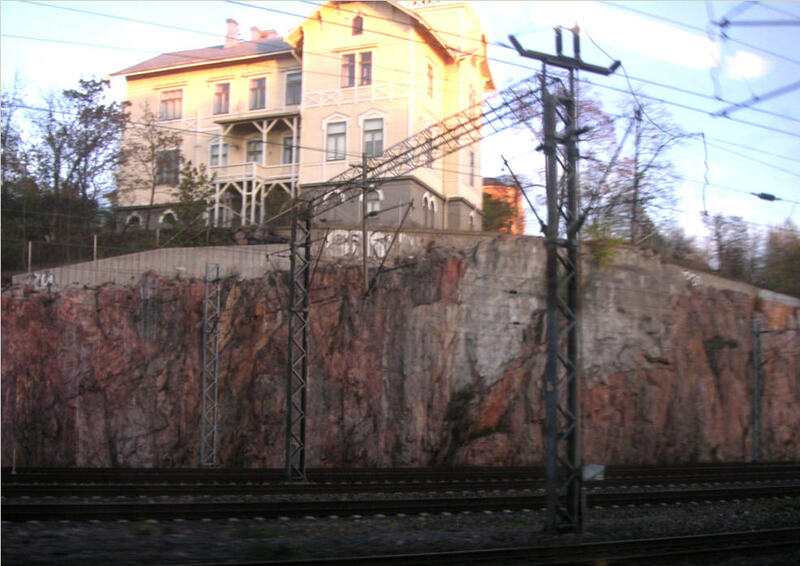 This picture of them was printed in the Meridian Magazine articles about the Helsinki Finland Temple. 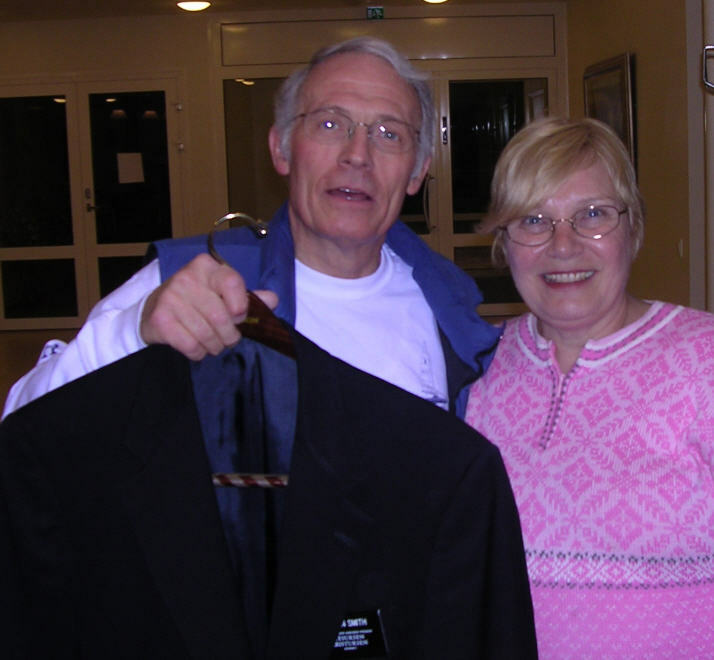 The missionary Elder Richard Smith, was my language training elder when I arrived in Finland. 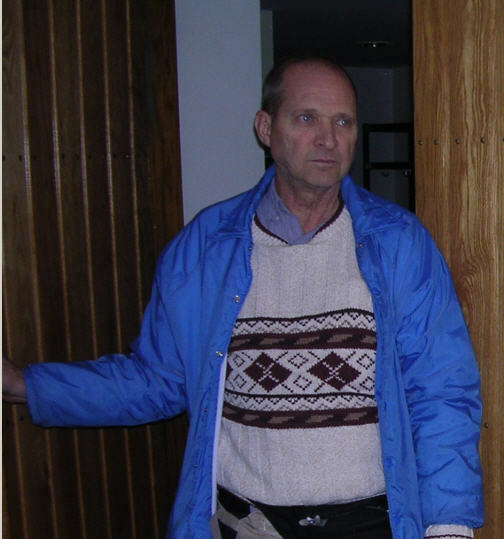 He and his wife are also a temple worker there now. He and his wife Elisa are on a mission. moved away before I came so I never knew her then. This statue is called the 3 Smith's. It has been there for a very very long time. This is where I was standing when I heard that President Kennedy had been shot. So I wanted a picture of it with me standing there again. or asked them where something was just so I could talk to them. This was taken by a girl from Russia. Really fun to talk to her. Her husband came later. He was from Israel so I took their picture. Wish I would have taken a picture of them so you could have seen them. Really nice people. 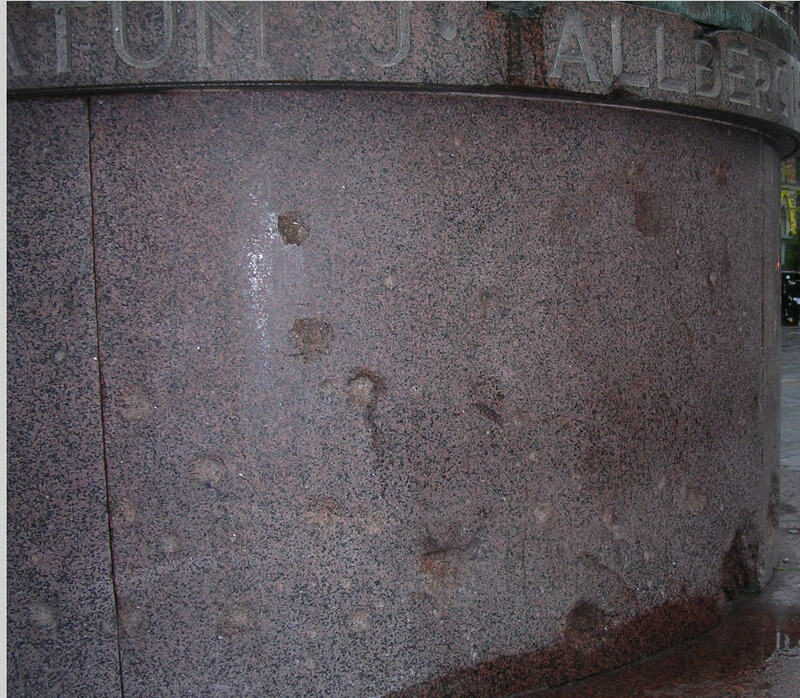 (notice there are bullet holes all over in it from the war years). Stopped another lady on the street and asked her to take my picture so I could talk to her. Finnish people are so fun to talk to. She was very nice and took my card. This is the statue of C.G.E. Mannerheim. 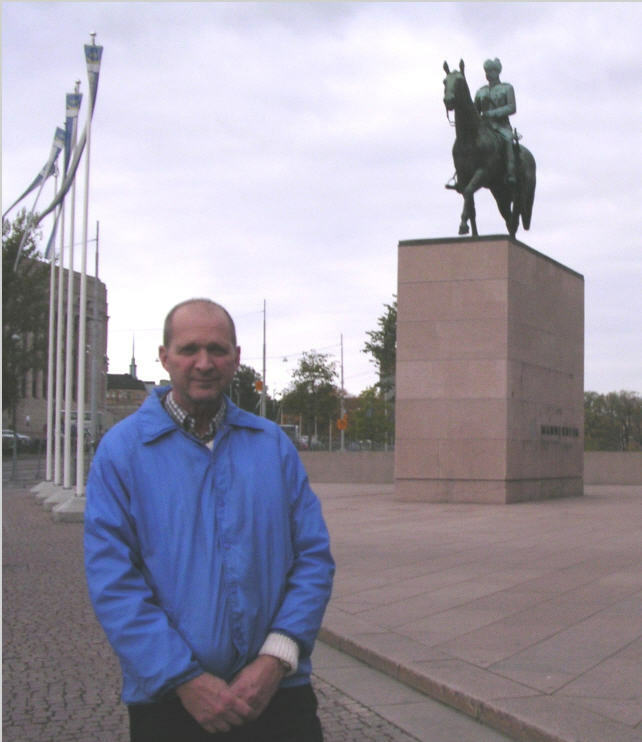 He was the Finnish Military Field Marshal that helped Finland win independence from Russia and expel the Germans during the World War. He was president of Finland from 1944 to 1946. 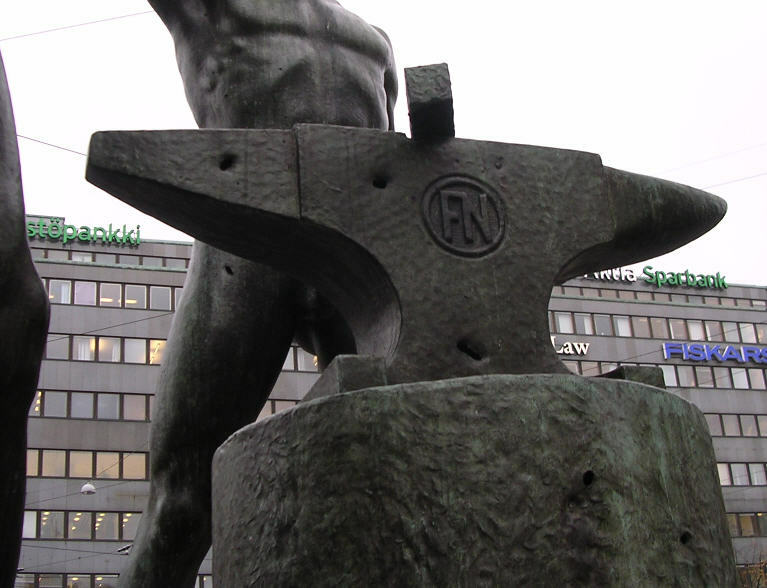 You cant go to Helsinki without seeing this statue by the train station. Stopped another man on the street to talk to him. 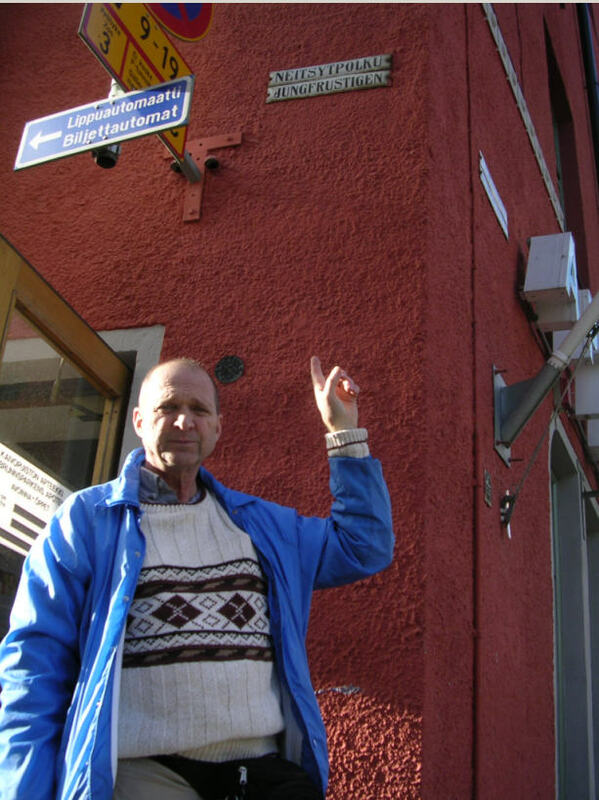 Well I knew where Neitsytpolku street is. I guess I just wanted to know if he did so I could talk to him. Fun conversation about the Church with him. And in Finnish too. 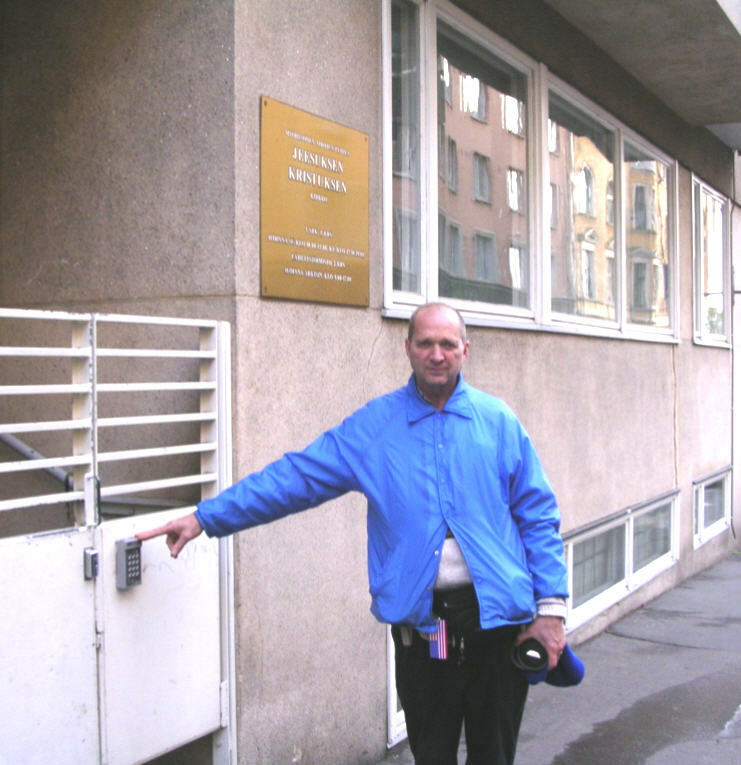 This is the street where the LDS Helsinki Mission Office is and where I spent many an hour 43 years ago. Who could ever forget the address Neitsutpolku 3 A 4 ? to even ring the door bell to get inside (Thank goodness I can speak Finnish)... She was a really fun person to talk to. buzzed me in with out even asking who I was. She smiled. Came in with me and got in the elevator and went up to her home. Or maybe it was my BAD Finnish... Who can say. But she let me in. Looks just like it did 43 years ago. 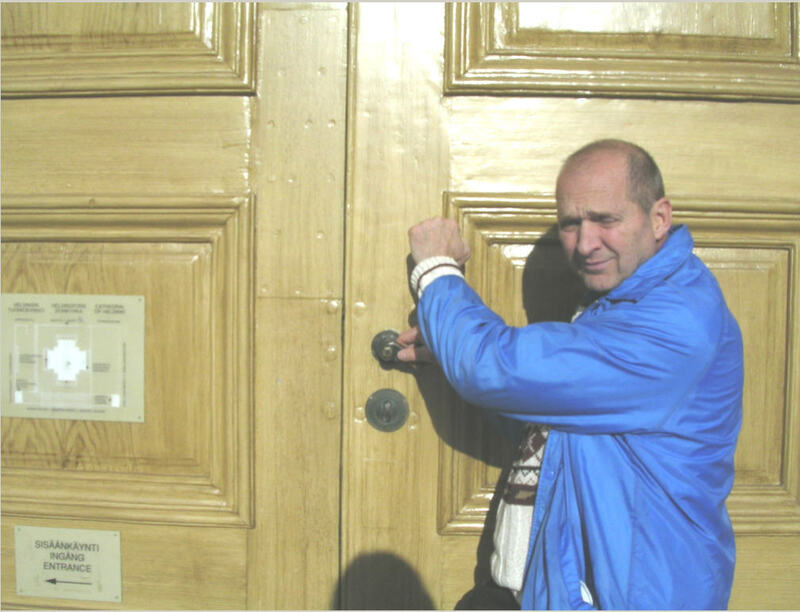 That is the LDS Church name on the door. They have rearranged the inside of the mission office a little since 1963, but it looks exactly the same on the outside as it did 43 years ago. This is me with the current Mission President, President Estees. 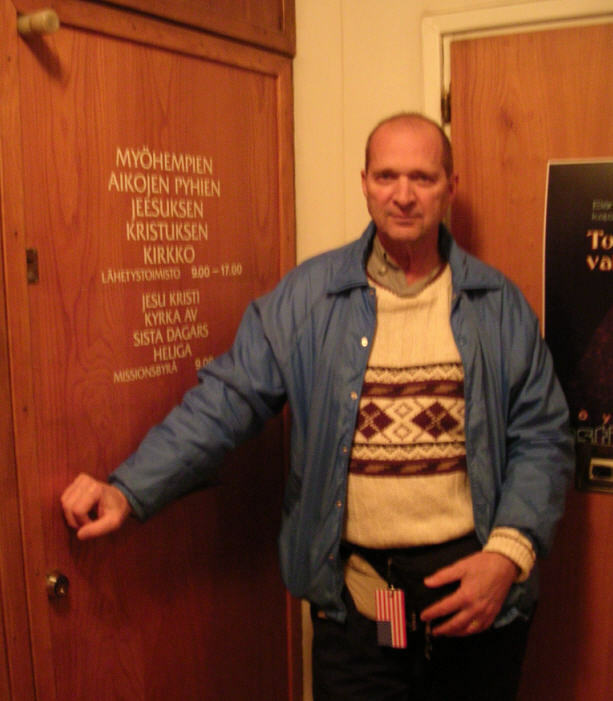 He came to Finland as a missionary about a month before I went home in 1965.
into going down with me and letting me take a picture of it. It has not changed one bit. 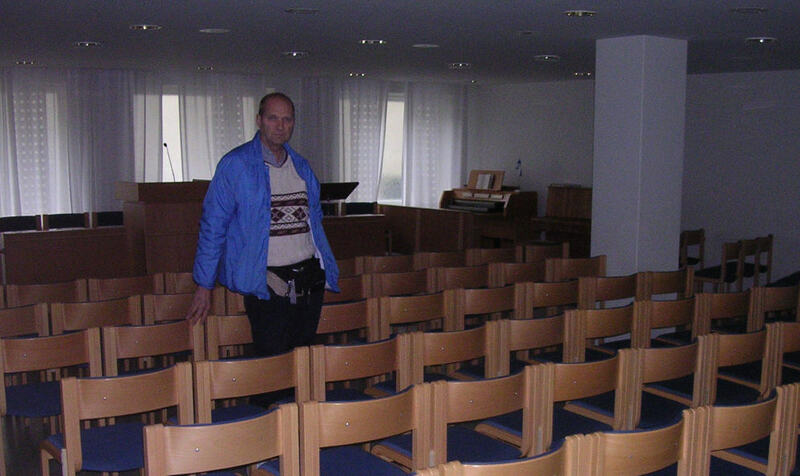 I spent many hours in this chapel interpreting Finnish into English for visitors. Lots of memories here. The whole of Finland is pretty much underlying gannet rock. So much of the shore line is just rock. Rock beach is not that bad you know (at lest not when the water is 50 degrees). This beach is right down the street from the mission office. 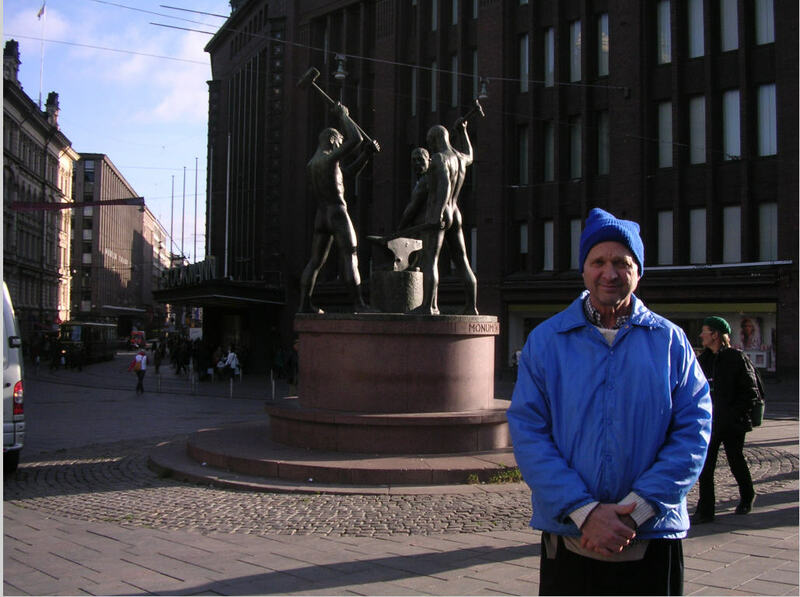 It took me a couple of tries to convince this older man who took my picture that I really could speak Finnish. But finally he talked to me and then took my picture. Lots of people walk in the park along the beach. from this gray and red gannet rock. 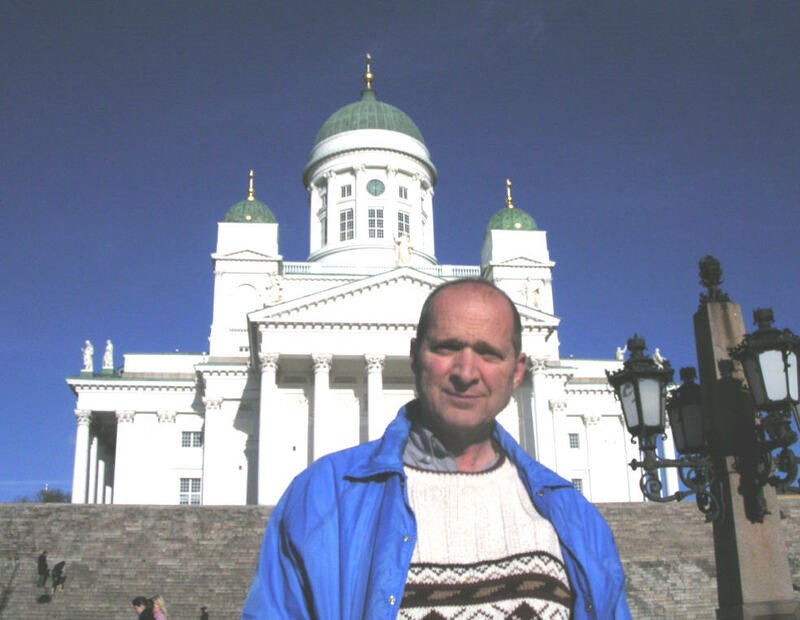 The most famous thing in Helsinki is the huge Lutheran Cathedral Church. I could not find it. 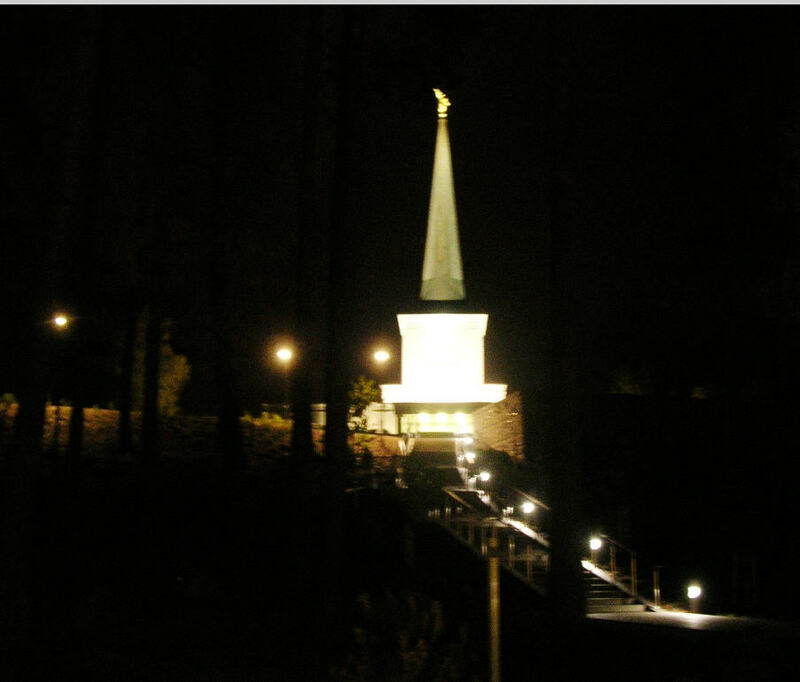 roof and a gold cross and a huge set of steps in front." 4 of the 5 people I asked said they did not know where it was. my Finnish was the first day I guess. But here it is. I finally found it. All the kids speak English and want to practice. But they took my card when we were done. Clean cut kids. I decided to just go ahead and knock on the door of the church and see if they would be interested now. No one answered. Then I realized it was not me being rejected again. The sign says the church is closed for remodeling. I will have to come back later. knocking on the door. Then she warmed up and we had a really fun talk. Took my card. Said she would look at my web page. they were using him for 43 years ago... YUCK! 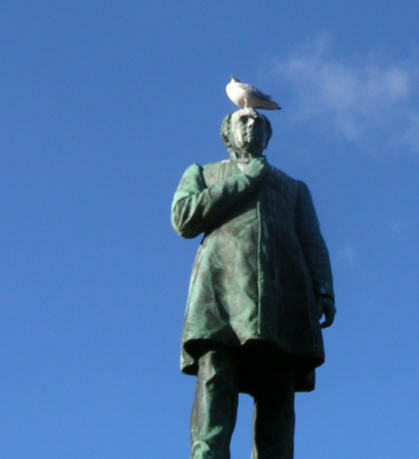 I am glad I got the missionary job and not the statue job. I don't know if you remember the movie Dr. Zhivago but it was filmed in Finland just before I got there. Lots of the Russian soldiers in the movies were just Finnish people they paid to be actors. But lots of them were not Finns. 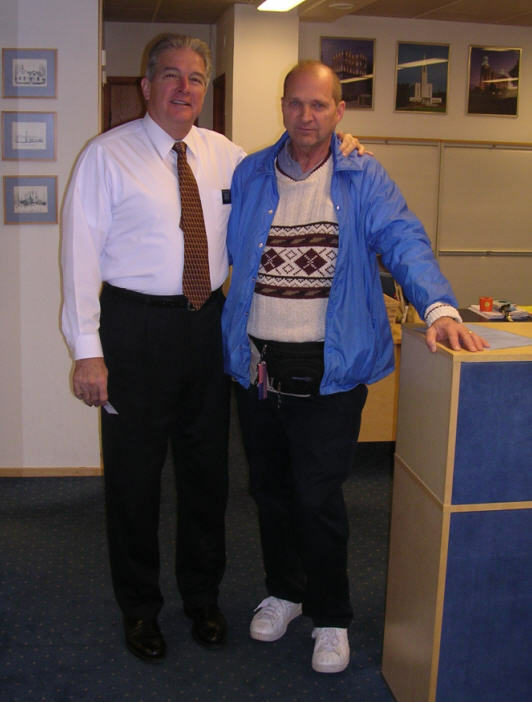 They were Mormon Missionaries who spoke Finnish and they needed them to help with the language. Finnish would tell the Finnish stand in actors (acting as Russian soldiers in the movie) what to do. If you remember right at the end he was on a trolley car and saw Laura (was that her name?) walking along the street. 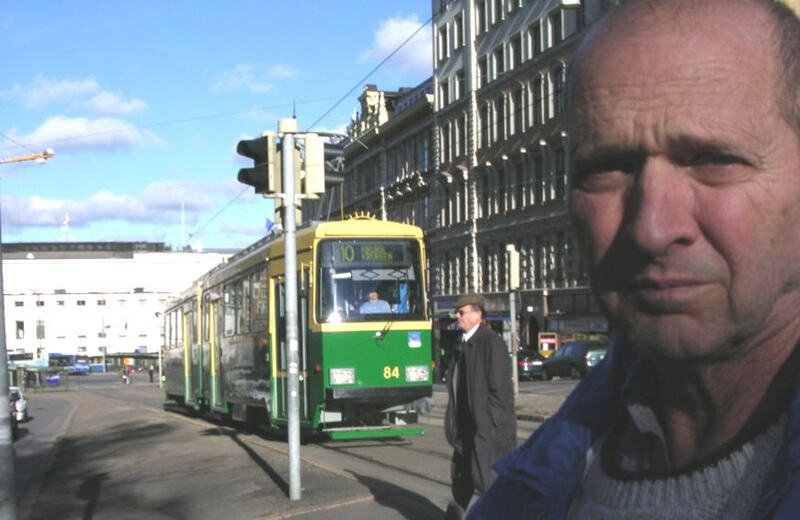 you mind waiting here for 4 or 5 minutes with me and take my picture just as the trolley comes by.. ha ha ha) and in Finnish." for friends with older computers. That is the only reason for breaking the pictures up into different days. Sorry if that is inconvenient for you.